My research program has clinical and basic/translational research foci. The clinical focus is closely tied to my clinical activity in the Motherisk at the Hospital for Sick Children in collaboration with Dr. Koren. Prospective cohort studies in drug safety during lactation are conducted. Recently, we have proposed a population pharmacokinetics modeling and simulation approach to provide population estimates of infant exposures to drugs in mother's milk as a valid risk assessment tool. Mechanistic aspects of drug excretion into milk are investigated using in vitro and in vivo approaches within the framework of Transporter biology (CIHR-funded: Drugs and Human Milk). We specifically examine various nutrient transporters and the Breast Cancer Resistance Protein. The ultimate goal is to develop an approach to reduce toxin transport into milk using nutrient substrates of the drug transporters. In addition, we have recently uncovered transporter regulation mediated by NRF2 (a transcription factor to counteract oxidative stress). Using in vitro approaches and the Nrf2-knockout mice, we were able to show that bile acid toxicity is counteracted by NRF2-mediated adaptive responses, which upregulate expression of multiple xenobiotic transporters. As the second focus of this research program funded by CIHR we have begun to explore influences of human milk and its alternatives (i.e., formula) on development of cytochrome P450 enzymes and major drug transporters including BCRP. While pursuing the above theme, we discovered a novel pathway of enzyme transcriptional control. With the CIHR funding (Novel transcriptional control of cytochrome P450 3A), we have been characterizing the phenomenon. Use of drugs is an important part of modern medicine. Cytochrome P450 3A (CYP3A) is one of the major drug metabolizing enzymes, and more than half of all drugs in the market are metabolized by this enzyme. Many drug side effects and drug interactions occur due to dysfunction of this enzyme. Each individual has very different levels of CYP3A, posing significant challenge to drug therapy. Our focus is on ambient tonicity environment of the cells. This is important because food and fluid intake influences tonicity in the gut, and this may affect levels of this enzyme. Panchaud A, Garcia-Bournissen F, Csajka C, Kristensen JH, Taddio A, Ilet KF, Begg EJ, Ito S. Prediction of infant drug exposure through breastfeeding: population PK modeling and simulation of fluoxetine. Clin Pharmacol Ther. 2011; 89: 830–836. Tan KP, Wang B, Yang M, Boutros PC, MacAulay J, Xu H, Chuang AI, Kosuge K, Yamamoto M, Takahashi S, Wu A, Ross DD, Harper PA, Ito S. Aryl hydrocarbon receptor (AHR) is a transcriptional activator of human breast cancer resistance protein (BCRP/ABCG2). Mol Pharmacol. 2010; 78:175-185. Tan KP, Wood GA, Yang M, Ito S. Participation of Nuclear Factor (Erythroid 2-Related) Factor 2 (Nrf2) in ameliorating lithocholic acid-induced cholestatic liver injury in mice.Br J Pharmacol 2010; 161:1111-1121. De Rosa MF, Ackerley C, Clarke D, Wang B, Ito S, Lingwood C. Inhibition of multidrug resistance 1 (MDR1) by adamantyl-Gb3, a globotraosylceramide analog. J Biol Chem.2008; 283:4501-4511. Tan KP, Kosuge K, Yang M, Ito S. Retinoids are potent activators of NF-E2-related factor 2 (Nrf2) to induce cytoprotective genes counteracting resultant oxidative cytotoxicity.Free Radical Biology and Medicine 2008; 45:1663-1673. Kosuge K, Chuang A, Uematsu S, Tan KP, Ko BCB, Ohashi K, Ito S. Discovery of Osmo-sensitive Transcriptional Regulation of Human Cytochrome P450 3As by the Tonicity-Responsive Enhancer Binding Protein (Nuclear Factor of Activated T Cells 5). Mol Pharmacol. 2007; 72:826-837. Tan KP, Yang M, Ito S. Activation of Nrf2 by Toxic Bile Acids Provokes Adaptive Defense Responses to Enhance Cell Survival at the Emergence of Oxidative Stress. Mol Pharmacol. 2007; 72:1380-1390. 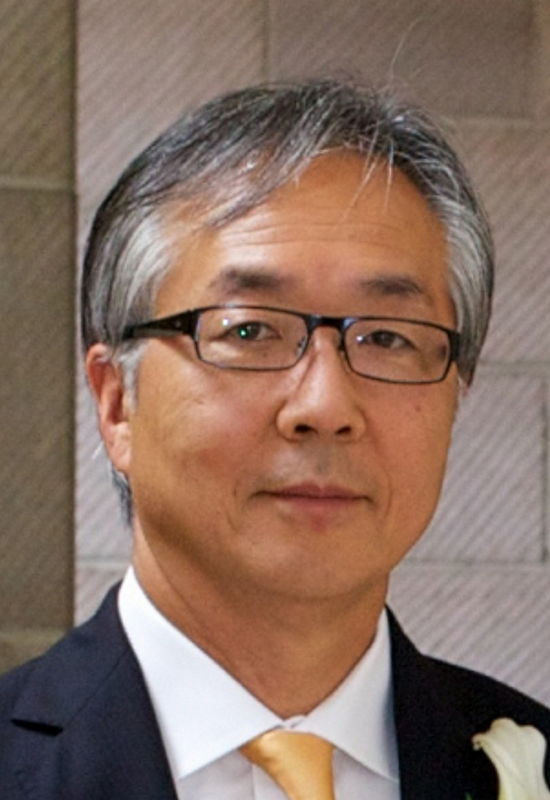 Kwok B, Yamauchi A, R. Rajesan, L. Chen, Dhillon U, Gao W. Xu H, Wang B, Takahashi S, Semple J, Tamai I, Nezu J, Tsuji A, Harper P, Ito S. Carnitine/xenobiotics transporters in the human mammary gland epithelia, MCF12A. Am J Physiol. [Regul Integr Comp Physiol]. 2006; 290:793-802. Xu H, Rajesan R, Harper P, Kim RB, Lonnerdal B, Yang M, Uematsu S, Hutson J, Watson-MacDonell J, Ito S. Induction of cytochrome P450 1A by cow milk-based formula: a comparative study between human milk and formula. Br J Pharmacology. 2005; 146:296-305. Ito S, Alcorn J. Xenobiotics transporter expression and function in the human mammary gland. Adv Drug Deliv Rev. 2003; 55:653-655. Moretti ME, Sgro M, Johnson DW, Sauve RS, Woolgar MJ, Taddio A, Verjee Z, Giesbrecht E, Koren G, Ito S. Cyclosporine excretion into breast milk. Transplantation.2003; 75:2144-2146. Lala P, Ito S, Lingwood CA. Retroviral transfection of Madin-Darby canine kidney cells with human MDR1 results in a major increase in globotriaosylceramide and 10⁵- to 10⁶-fold increased cell sensitivity to verocytotoxin: Role of P-glycoprotein in glycolipid synthesis. J Biol Chem. 2000; 275(9):6246-51. Ito S. Drug therapy for breast-feeding women. New Engl J Med. 2000; 343:118-126.